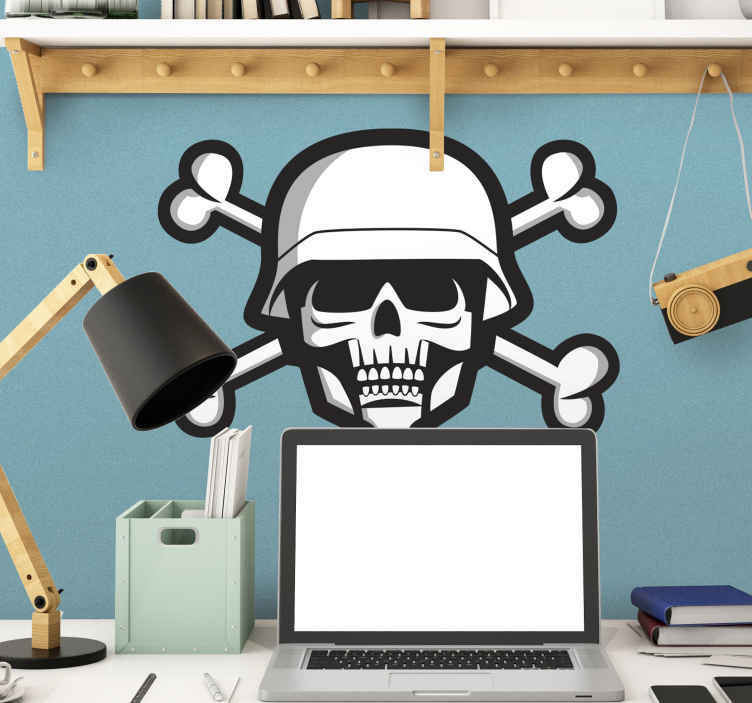 Wall Sticker of a skull soldier. If skulls were not scary and tough enough, this one has a military helmet. A unique wall decoration that will convert any blank space in your home to a room full of character. This sticker consists of two crossed bones behind the skull. Decorate your living room, bedroom, nursery or business with this removable wall sticker.